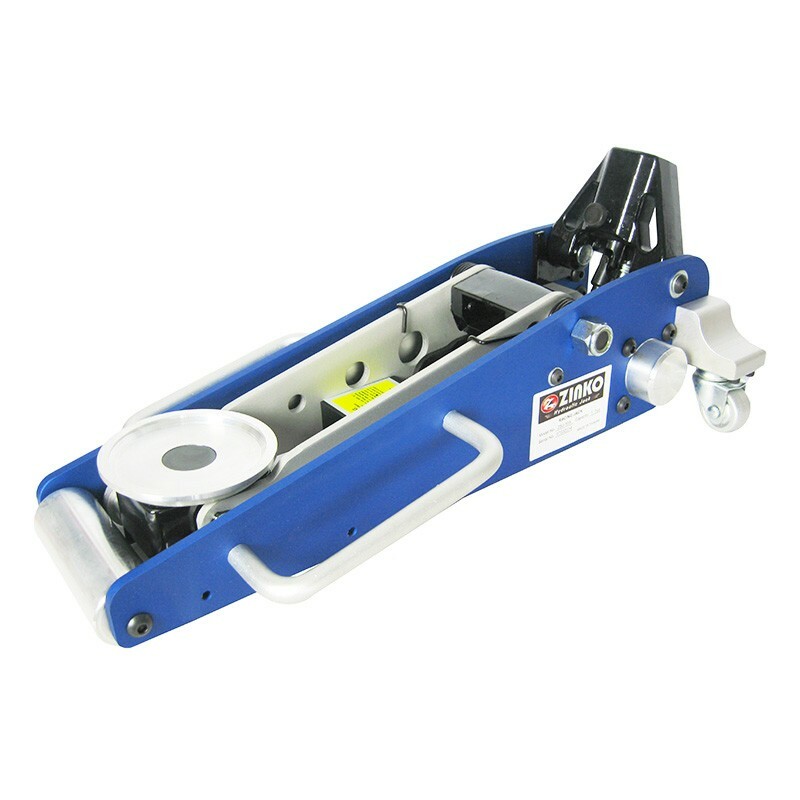 A Best Industrial Supply has recently acquired a limited number of these last run race jacks. The ZSJ-10A is manufactured from aircraft grade billet aluminum and even comes with an extra repair kit. Do not be fooled by the 1 ton capacity on this unit it will do the job and do it well! This jack is perfect for lifting a single tire off the ground for quick change or service and can even lift the whole rear of the vehicle on mid weight race cars. 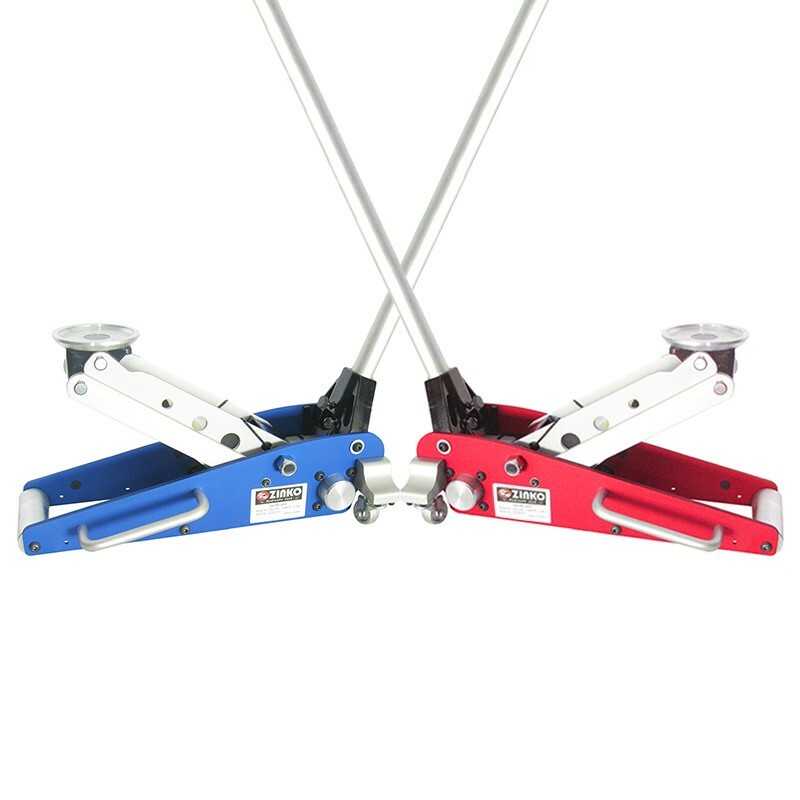 It lifts from a fully retracted 3.5” minimum height to max lift of 17.5” in approximately 6 pumps. 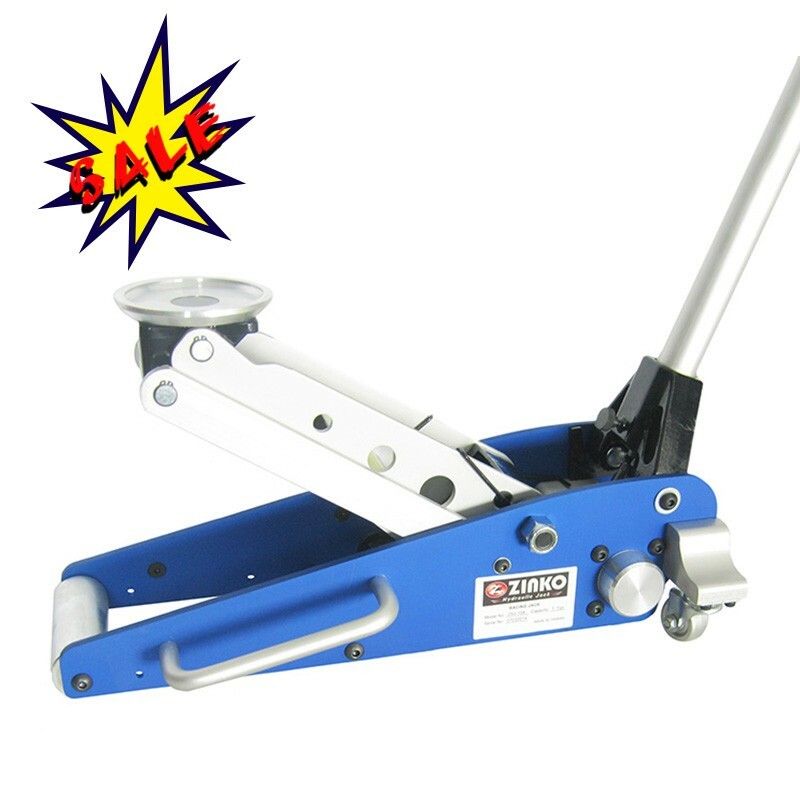 This is the lowest price this unit has ever been offered to the public and we are able to do so as we have acquired the remaining inventory of these high quality race jacks. Zinko has now discontinued this model to make room for more of their most popular race jacks the ZSJ-15A3 and ZSJ-15A6 but they have guaranteed to keep the service parts available for these units. 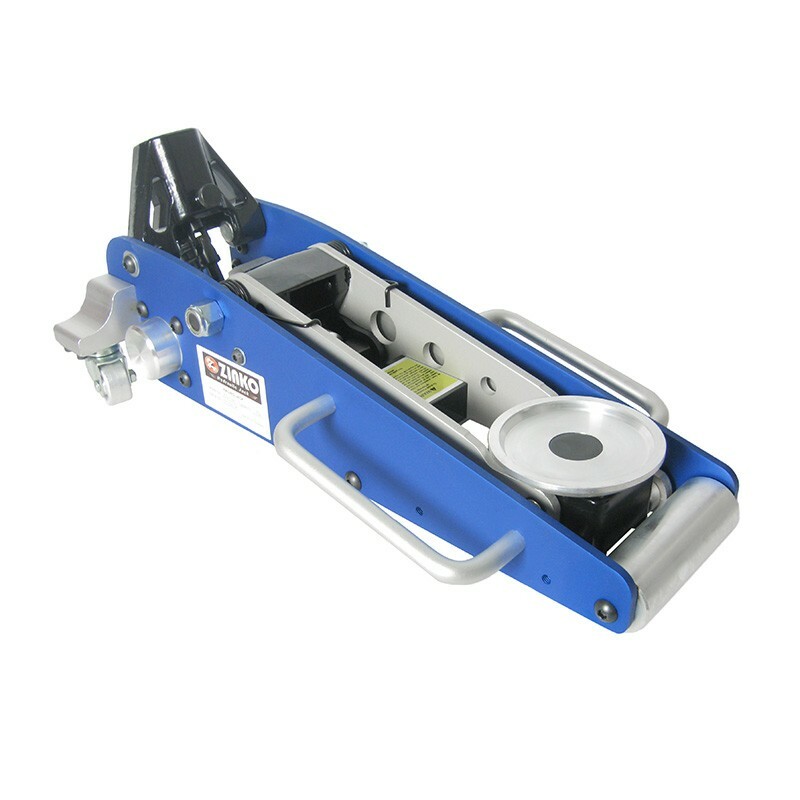 Act now and get one of these professional quality jacks for a fraction of what others have paid and about half of what you would pay for Zinko’s similar ZSJ-15A6. *Optional wheel kit available at additional cost to upgrade to ZSJ-15A style rear wheels. • Quick lift design raises jack pad from 3.5” to 17.5” in approximately 6 pumps. • Weighing in at 42 lbs and equipped with ergonomic carrying handles this jack is easy to transport and position. • Fully CNC profile machined from aircraft grade billet aluminum gives this jack durability that you will not find in inferior units. • Low profile design can get this unit under many lowered vehicles without any hassle. • Comes with a full aluminum single piece handle to limit flexing of the handle while pumping. • Comes with a complete separately packaged seal kit to make sure that if any of the wear items begin to leak the unit can be quickly and easily rebuilt. Height of Frame (in) 6.00"